Agency businesses in industries such as real estate, lending, and insurance are continually looking to build the size and quality of their agent workforce. As a relationship business, your best sources for new hires are referrals from your current agents. 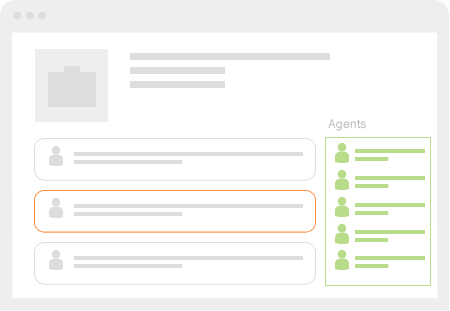 With Reach150’s referral management system, you give your agents a systematic and simple way to recommend you and refer high producing agents. Reach150 accomplishes this by collecting high value recommendations from existing agents so prospective new hires can read about the many benefits of working for you and your company. 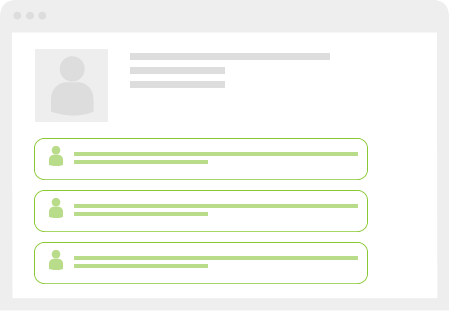 Reach150 starts with your agents publicly endorsing you and your hiring managers. Recommendations, once approved, are published to your Reach150 business profile where they are easily discovered by prospective new agents on search engines, social media, or your website. 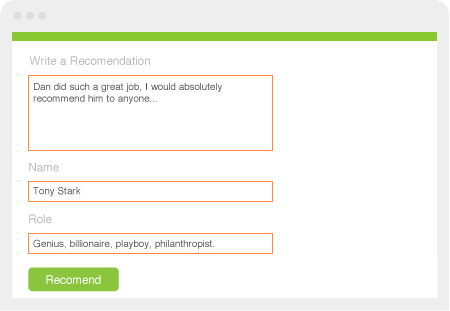 Your agents are notified about new recommendations you've received. When you are top of mind and validated by others, your agents will be more comfortable referring other agents as they can share great recommendations about you and your company. In addition to your business profile, as part of your monthly service, Reach150 will provision accounts for your agents so they too can begin collecting recommendations from their past clients. Finally, as the sponsoring broker, we will provide you with insightful analytics giving you visibility into how your agents are using Reach150 to generate referrals. Join today’s leading agency businesses and go live with Reach150’s referral management system for relationship businesses. Contact us today to learn how Reach150 can help you grow your business through referrals. When it comes to social proof there is nothing I would recommend more often than Reach150 and a big part of that has to do with Dan and the team at Reach150. They created a company built on a standard of excellence that they continue to uphold at every turn. Michelle Paulson recommends Reach150 Social, Inc.